Gorospe Law Group wins car accident settlement for an injured client to the sum of $350,000.00. Our injury attorneys represented a Tulsa driver injured in an auto accident. At the Gorospe Law Group our attorneys are experienced lawyers with backgrounds in personal injury and civil litigation. Our injury lawyers provide legal services to the Tulsa community that can be a great benefit to you if you are facing medical bills, lost time from work and pain and suffering following an auto accident or car wreck causing you or a loved one personal injury. Tulsa Personal Injury Attorney Anthony Gorospe represented a client who was recently injured in a rear-end automobile accident. Our car accident and injury attorney’s worked closely with our injured client’s doctors to ensure that proper medical care was received. Our client’s symptoms have since completely resolved and the client was able to recover just compensation for his pain and suffering. The attorney’s at The GorospeLaw Group in Tulsa, OK recovered the maximum amount of insurance available under multiple insurance policies for their client. The Attorneys at The Gorospe Law Group in Tulsa, Oklahoma are experienced and reliable personal injury lawyers. At Green Country Law we specialize in car accidents and personal injury law. If you or a loved one has suffered an accident causing you personal injury call the Gorospe Law Group today at (918) 582-7775 for a free initial consultation. This personal injury case involving a motorcyclist was negotiated and settled by the Gorospe Law Group Personal Injury Law Firm in Tulsa, OK. Gorospe Law Group represented the backseat rider in this auto accident case. The driver of the motorcycle tried to take a turn too fast causing the accident. It was alleged that Gorospe Law Group’s client was consuming alcohol prior to the accident. Therefore, the insurance company defending the negligent driver of the motorcycle did not tender any settlement money to the backseat rider. After Gorospe Law Group were retained, they filed a lawsuit, conducted discovery and this case quickly settled in mediation. This case was litigated by the personal injury attorneys at the Gorospe Law Group. This was a disputed liability case involving a car accident. Both parties argued that the other was at fault for a collision that occurred in the middle of a rural intersection with no traffic control devices (stop signs, stop lights, etc.). After extensive pre-trial discovery, this case settled immediately before trial. The Gorospe Law Group negotiated and settled a case for a Tulsa family recently. Anthony Gorospe represented three family members in this case. It was alleged by the defendant, and the lawyers hired by his insurance company, that Gorospe Law Groups’s client ran a red light causing the car accident. After extensive written discovery by our Tulsa Car Accident Lawyer and depositions leading up to trial, the case settled. Our Tulsa injury attorneys at the Gorospe Law Group delivered a car accident settlement for an injured client in the sum of $500,000.00. At the Gorospe Law Group our car accident attorneys are experienced personal injury attorneys with backgrounds in personal injury, auto accidents and civil litigation. The Gorospe Law Group provides personal injury legal services to the Tulsa community and surrounding areas. The lawyers at the Gorospe Law Group represented an individual in Muskogee that was hit by a driver that failed to look out while entering a busy street. The insurance company originally offered the injured party only $18,000.00 for settlement prior to hiring the Gorospe Law Group. In June, 2011 the personal injury attorneys at the Gorospe Law Group Personal Injury Law Firm in Tulsa, Oklahoma represented a husband and wife that recently suffered injuries inflicted by a car wreck. A negligent driver not paying attention turned right in front of Gorospe Law Group’s clients with no regard for the safety of other drivers around them. The result was a t-bone accident that is very common in car wrecks. The auto accident attorneys at the Gorospe Law Group made sure that their clients were treated for their injuries by the proper medical professionals until they were pain free. The money recovery was enough to fairly compensate them for their medical bills, their time off work and their pain and suffering. Our Tulsa Personal Injury Attorney Law Firm’s personal injury attorneys are experienced in car accident injury and car accident cases. In July our talented personal injury attorneys represented a 20 year-old college student whom was in a rear end accident. As a result of being rear ended, she complained of neck pain which is fairly common in car wreck injuries. The Personal Injury Attorneys at The Gorospe Law Group made sure she was treated by top medical professionals until she felt better. The client’s settlement was more than enough to compensate her for her medical bills and her pain and suffering. We are experienced personal injury lawyers. If you or a loved one have suffered personal injury due to a negligent driver call our office today for a free legal consultation and find out what our professional legal services can do for you. Our Tulsa Injury Attorney recently settled a car accident claim for the amount of $100,000.00 for a client who suffered a personal injury in a motor vehicle accident. Personal Injury Attorneys at the Gorospe Law Group maximized the recovery from the at-fault driver’s insurance policy. Tulsa car accident attorneys Gorospe Law Group settled this car accident claim for a young lady that was the front seat passenger of a vehicle that was rear ended by an inattentive driver. She was treated with medical providers for sprain/strain injuries to her neck and back. She has fully recovered from her injuries. Gorospe Law Group’s client was hit by a United States Postal worker who was attempting an illegal U-turn in the middle of a highway. A case was filed by Gorospe Law Group against the United States. The government argued that Gorospe Law Group’s client was going too fast and didn’t take evasive action to avoid the accident. Gorospe Law Group ensured that their client was provided with the best medical treatment and employed top experts to evaluate the client’s need for future medical care. The case settled a month before trial in front of an adjunct federal settlement judge. Tulsa car accident attorneys at the Gorospe Law Group negotiated a settlement for a woman that was injured in a car accident that occurred on an Oklahoma state highway. Gorospe Law Group directed their client to the appropriate medical providers such as an orthopedic surgeon for an evaluation, a scar evaluation specialist and a chiropractor. After confirming the client’s motor vehicle related injuries, Gorospe Law Group negotiated the settlement on behalf of the client. Tulsa injury attorneys at the Gorospe Law Group represented the driver who was rear-ended and suffered Tulsa Car Accident Attorneys injuries. The case was filed and settled shortly prior to trial. Tulsa personal injury attorneys at Gorospe Law Group represented a rider of a motorcycle that was victim of a driver that failed to pay attention. Luckily, the rider will recover from the injuries and is extremely happy with the Tulsa Car Accident Lawyer he received due to the diligence and attention by Gorospe Law Group. Gorospe Law Group took this case after our client was cut by glass after being Tulsa Car Accident Lawyer in a parking lot. Gorospe Law Group referred our client to a leading plastic surgeon for an evaluation and treatment. After extensive pre litigation investigation, the insurance company more than doubled their original offer after being presented with everything Gorospe Law Group had obtained. 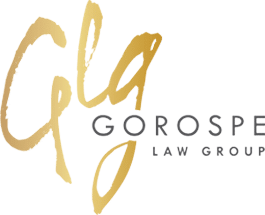 A young mother hired the Gorospe Law Group to represent her eight year old daughter whom was a backseat passenger of a vehicle that was struck by a driver going too fast. Gorospe Law Group secured proper medical treatment for the child and confirmation that the little girl was going to be alright. With this money the little girl will have a head start on college tuition. This case was negotiated and settled by the Gorospe Law Group. Anthony Gorospe represented the client who was cut off by a negligent driver. The rider received the medical treatment to fully recover from his injuries and received the compensation he deserved for the pain and suffering he endured. Tulsa car accident attorneys at the Gorospe Law Group represented a family of three that were invloved in a car accident in Tulsa that resulted in them being side swiped by a driver. After securing proper medical care, the Gorospe Law Group settled the car accident claims for for an amount that made their clients very pleased. Our injury attorney’s at the Gorospe Law Group successfully recovered $125,000.00 for a client that slipped on ice at a shopping center resulting in the client suffering personal injury. Our injury lawyers alleged that the shopping center was not designed or maintained in a manner which was safe for it’s patrons. The attorneys at the Gorospe Law Group recently represented an individual that was hit by a careless driver that ran a stop sign. Our personal injury attorneys were able to recover enough money to pay all of the client’s medical bills that accumulated due to injuries and leave him a substantial amount of money for his pain and suffering due to the accident. Tulsa car accident attorneys and injury lawyers Gorospe Law Group represented a family of three that were involved in a car accident in Tulsa that resulted in them being side swiped by a driver. After securing proper medical care, Gorospe Law Group settled the car accident claims for for an amount that made their clients very pleased. If you or a loved one have suffered a personal injury due to a car accident, motorcycle accident, or commercial trucking accident call an experienced Tulsa personal injury attorney today at 918-582-7775. The Gorospe Law Group can help!